Delft is Creating History in Technology, in Entertainment, in Design. TEDxDelft (@TEDxDelft) will take place on Monday 7 November 2011 at Aula Congress Centre in Delft. TED Kas Oosterhuis (@KasOosterhuis) is professor at the Faculty of Architecture, Delft University of Technology, as well as director of Hyperbody and the Protospace, or ONL, in 2004). 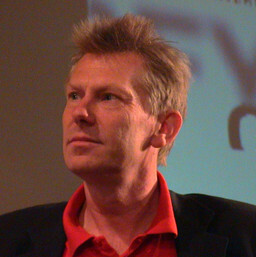 Since 2000, Oosterhuis has been professor of digital design methods at the Delft University of Technology.